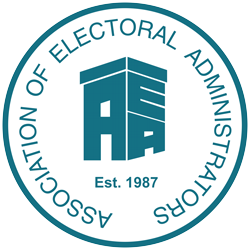 If you are looking to recruit a post either exclusively in the field of electoral services or covering various kinds of administrative work with an element of responsibility in relation to the provision of or support for electoral services, you can advertise the post here by completing and submitting a simple online form, which can be accessed via the link underneath the fees table. Vacancies for other types of post can also be accommodated if advertisers wish. See below for a table of our competitive advertising rates. Please note we do not offer an agency discount and only job adverts placed with us by a local authority or one of the other organisations mentioned in Section 1 will attract the lower rate. If a local authority has outsourced those services that manage recruitment and advertising, the higher rate (in Section 2) will be payable. Any advertising agency placing an order will also be charged that higher rate, irrespective of the organisation for whom they are acting. V.A.T. is charged on all fees. To submit an order to place advertisements, you must complete a simple online request form which can be accessed HERE, and will take less than 5 minutes but, for the avoidance of delays, you should read all the information on this page before proceeding. Part of the online process will enable you to upload up to three files, one of which must be the text of the advertisement itself – Microsoft Word documents are the preferred format, but please try and avoid using those which include text inside tables. One of the other documents should be the Purchase Order itself if this is available at the time you submit the online request. If it is not, please e-mail it subsequently to the Website Manager. If you experience any problems with the online form (there is no reason why you should as the form is functional and in regular use), you can download a Microsoft Word version here; once this has been completed, it should be e-mailed to the Website Manager. Please ensure any relevant documentation is sent as attachments to the e-mail, as you won’t be able to effect file attachments within the manual form. We cannot process your advert without a Purchase Order number under any circumstances, so please ensure that this is included on the request form. We do not provide quotations for advertisements as all fees are clearly prescribed in the table. However, if you wish, you could include a request for confirmation of the total fee in the request form and we will provide the necessary information, but only after your form is submitted. Please be aware that, if you are an advertising agency, HR management company or part of the local authority HR Department and you want the advertisement to appear in the Members’ only area of the website, you will not be able to view it after publication. You can either ask the electoral services officer for confirmation of its display or we can provide you with a screenshot of the advertisement. In the latter case, please add an appropriate comment at the end of the request form. If you have asked for the job to be advertised in both the members and public areas, you will naturally be able to access it.